I saw this over on Blog Azeroth (a great resource if you’re a blogger). Since it was pretty much the first community blog challenge I’ve seen that would fit into the topic of this blog at all, of course I had to give it a shot. The challenge is to level a character to 90 from only pet battles. No quest XP. No kill XP. No professions. Exploration XP is OK, because you kind of have to explore as a pet battler. No new gear after you pick up your obligatory safari hat from the mail. I know what you’re saying. “Oh but that’s so easy now. I knew this one guy, Tommy? He went from 85-89 in like 5 hours from pet battling.” Well, this challenge is unique in that it starts off hard and then gets harder. At some point there’s a breakpoint (I mean, there has to be, right?!) and from there it gets easier & easier until you can coast to the finish. 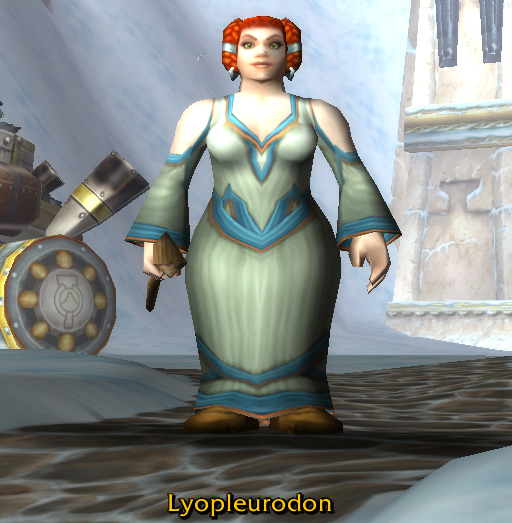 I think this is intentional, because Blizzard intends for you to actually play your character in the lowbie levels. When I say ‘easier’ vs ‘harder’, I mean less or more time-consuming. 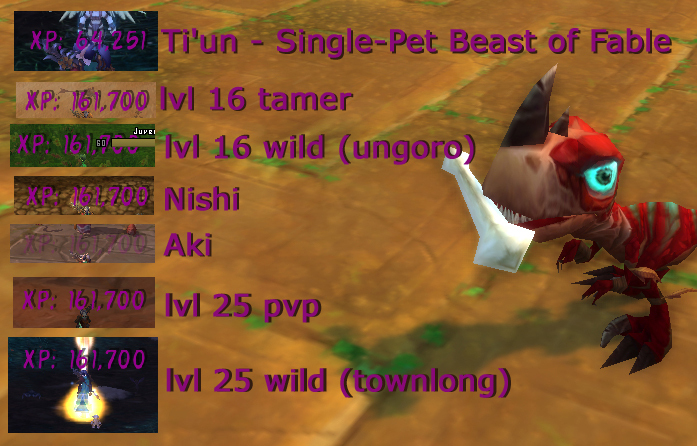 There’s really nothing hard per se about lvl 1 pet battles. It’s when you start doing the math, and see that XP bar creep up more and more slowly as you level that you see where the ‘hard’ is in this challenge. It’s bizarrely psychologically difficult. This may also be because I chose a Dwarf, and it’s just all freaking snow all the time. Makes for thrilling screenshots too. 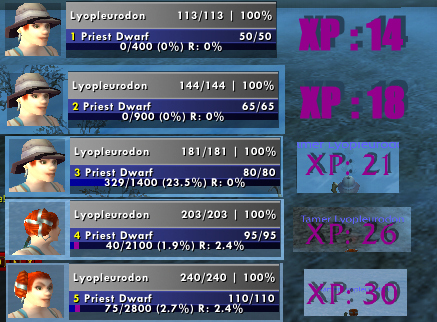 The gist is, the XP needed per level grows at an alarming rate, but your XP from battling barely budges. At level 1, each fight is 3.5% of a level, and you need to do 28 battles to gain the 400 XP required to level. Contrast that with level 5, where each fight is 1.1% of a level, and you need to win 93.3 battles, 2800 XP, to level up. It just keeps getting slower and slower so far. Theoretically I could go fight some higher level pets to speed things up, but I’m level 5. There’s almost nowhere else for me to go where I won’t aggro everything in the zone yet. I have been toying with using higher level pets and getting less XP per battle but chewing through battles more quickly, after a twitter tip from Farli of The Overcut. Regardless, I’m already almost out of level 1 and level 2 pets, all of which were duplicates of pets I’d already leveled. You can see I took off my safari hat at some point, and this is why. My entire stable of pets was already up to 10+, so I won’t get to do much to actually improve the pets I want to keep until I can start battling level 5+ pets reliably. 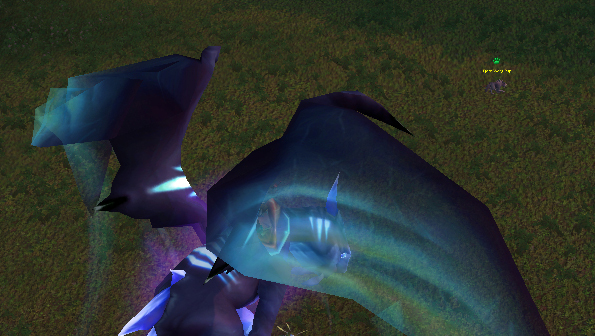 I may get some of these in the Loch Modan area, around level 10 for me. I’ll get a lot for sure once I get to the Wetlands but this won’t happen until–sweet baby jesus help me–I’m level 20 or so. I’m not sure yet whether I’ll take ‘help’ (ie, gold) from higher level characters, but if I don’t that means no mounts, and no taxis except for the handful of free ones between capital cities. It seems more in the spirit of an Iron Man, but the thought of that makes me want to lay my head down on my desk and give up already. 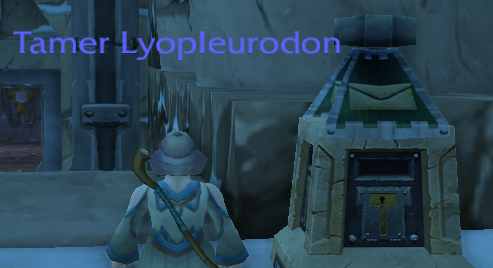 ‘No Quests’ may also restrict entry to places like Deepholm. 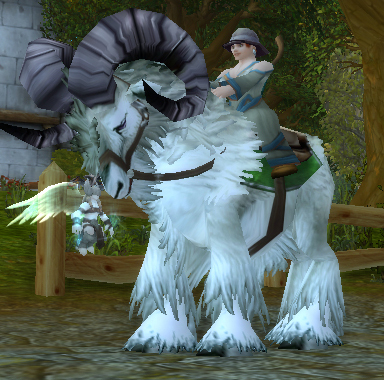 Without a personal flying mount, this may mean all of Cata content. Maybe even Pandaria as a whole, too. I know it restricts me from getting to the Vale, but man. MAAAAN. 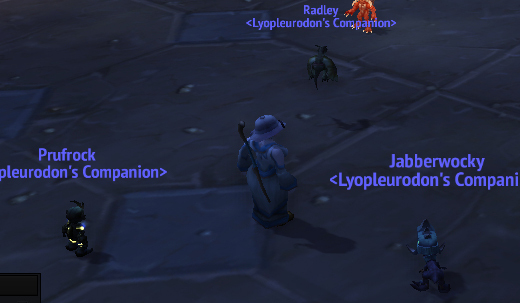 Also, no combat means no killing critters to free up spawns for battle pets, which stinks. 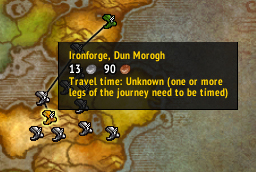 However, I’m definitely ignoring one of the central rules of the ‘official’ leveling Ironmans – permanent death. I feel like this is already soulcrushing enough, and I know that if I add in that rule, if I do die I’m just done. Plus, I figure I’m going to be going to places I’m stupid low level for, there’s virtually no way I’m not going to die. This is one of the few times in WoW where I’ve actually thought to myself, “what in the high holy hell are you thinking” while I’m doing it. Usually my abject moronitude is just an afterthought, but this time it’s like my brain would punch me in the face if it had arms. Current number of unsolicited ginvites – 18 20. I got 2 more when I logged in to take an extra SS for this post. This entry was posted in Pet Leveling Challenge and tagged leveling challenge, the other kind of leveling on May 10, 2013 by Liopleurodon.